Free home exercise programs with videos and illustrations. Effective workouts include videos and illustrations. Try this series of free home exercise programs for a convenient way to build your strength and improve your cardiovascular fitness. Workout routines include strengthening exercises for the upper body, lower body and core. Illustrations and videos make the workouts easy to follow, and the workout articles show you how to progress the exercises as your strength and fitness improves. You'll also find a beginners guide to exercise, including easy to follow, full body stretching and strengthening routines. There are also illustrated guides to help you pick the best exercises, plan your workouts and train at the most effective intensity. 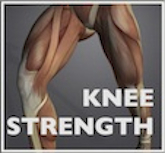 Resistance training for the upper and lower body. All of the exercises can be done at home without equipment. Train your body to generate more force and power with movement. It will make activities like lifting, squatting and stair climbing much easier. 6 exercise videos included. Use bursts of intense exercise for higher calorie burning and a boost in your cardio fitness. Beginning and intermediate workouts are illustrated, including drills that improve your balance and agility. A great traveler's routine. Strengthen your upper and lower body in one quick workout using minimal equipment. The exercises are easily modified to make your workout easier or more challenging as needed. 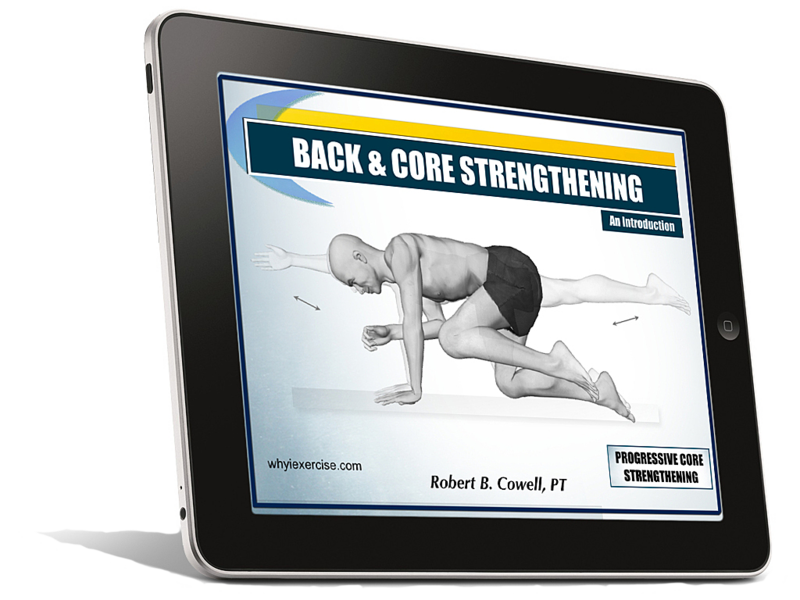 6 exercise videos and illustrations are included. 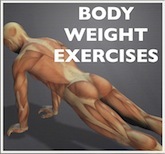 Easy at home exercises A full body workout featuring ten body weight exercises. No equipment is needed. Great strength training routine for beginners or if you have been inactive for awhile. Illustrations and six videos will help you follow along easily. Home stretching exercises Relieve muscle tension and improve your flexibility with this easy to follow stretching routine. Ten illustrated exercises cover the upper and lower body. No equipment needed. 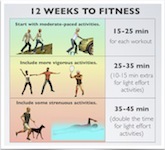 Free exercise tips How much effort should you put into your exercise routine for best results? Use my exercise effort scale and tips for judging your effort during strength training and aerobic exercise. You’ll learn how to pace yourself to get the best results from your workout. How to exercise at home New to exercise or needing to get back in shape? This article shows you how intensity, variety, measured progress and balance will contribute to the success of your exercise program. Free exercise program Schedule and progress your workouts so that you get the most benefit from your exercise plans. Weekly training calendar and tips for using the exercise routines on this website. Follow an 8 week progression to build up to a weekly exercise routine with significant health benefits. Metabolic equivalent Compare over 40 physical activities and exercises by intensity and calories burned. This article will help you pick exercises that are a good match for your ability level. Learn how to build your cardio fitness with all types of exercises and physical activities. Exercises are compared by convenience, training effect and calories burned to help you pick the best activities for your workout schedule. Thanks for checking out my free home exercise programs. I hope these routines serve you well as a way you can build up to the 3 hours of consistent, weekly exercise you need for optimal health. When you practice the routines, pay attention to the illustrations and videos so you can keep improving your body alignment each time you workout. If you'd like to develop a weekly schedule, there are some good examples to follow in this article. I hope that your exercise training helps give you the energy, strength and mental focus you need to be able to do all that you were meant to do in your life. Return from free home exercise programs to home page: Why I exercise.